This tutorial is going to show you how to install LAMP stack on Ubuntu 18.04 LTS. A software stack is a set of software tools bundled together. 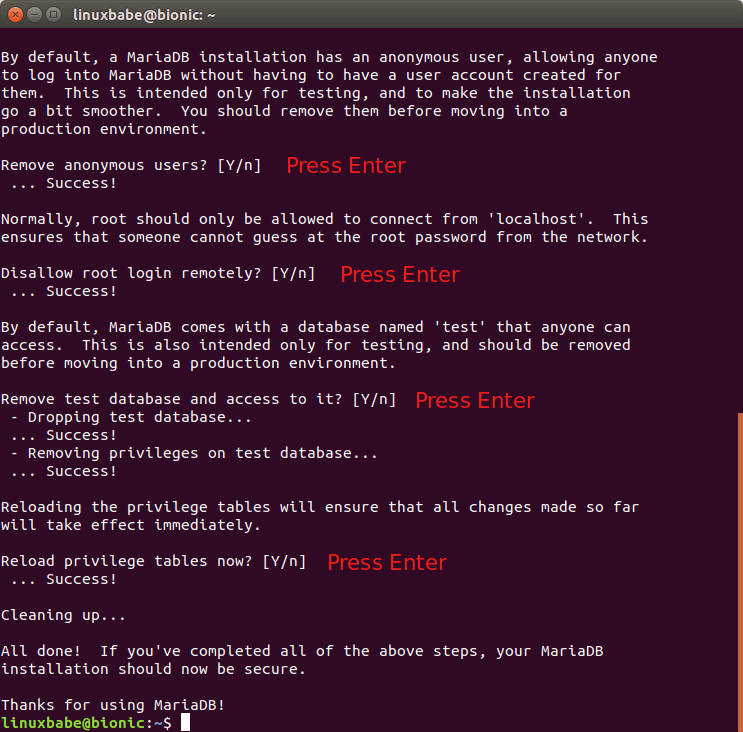 LAMP stands for Linux, Apache, MariaDB/MySQL and PHP, all of which are open source and free to use. It is the most common software stack that powers dynamic websites and web applications. Linux is the operating system; Apache is the web server; MariaDB/MySQL is the database server and PHP is the server-side scripting language responsible for generating dynamic web pages. You can follow this tutorial on a VPS (Virtual Private Server) or on a local Ubuntu 18.04 computer. Before we install the LAMP stack, it’s a good idea to update repository and software packages. Run the following command on your Ubuntu 18.04 OS. 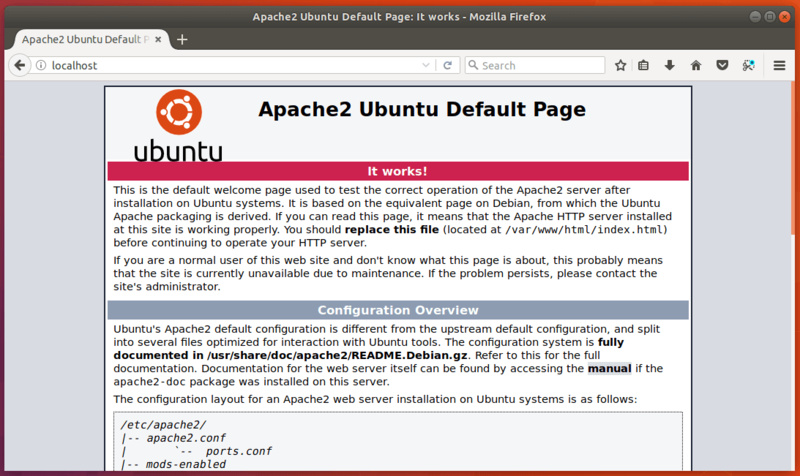 Enter the following command to install Apache Web server. The apache2-utils package will install some useful utilities like Apache HTTP server benchmarking tool (ab). After it’s installed, Apache should be automatically started. Check its status with systemctl. It’s also a good idea to enable Apache to automatically start at system boot time. Now type in the public IP address of your Ubuntu 18.04 server in the browser address bar. You should see the “It works!” Web page, which means Apache Web server is running properly. If you are installing LAMP on your local Ubuntu 18.04 computer, then type 127.0.0.1 or localhost in the browser address bar. If the connection is refused or failed to complete, there might be a firewall preventing incoming requests to TCP port 80. If you are using iptables firewall, then you need to run the following command to open TCP port 80. If you are using UFW firewall, then run this command to open TCP port 80. Now we need to set www-data (Apache user) as the owner of document root (otherwise known as web root). By default it’s owned by the root user. 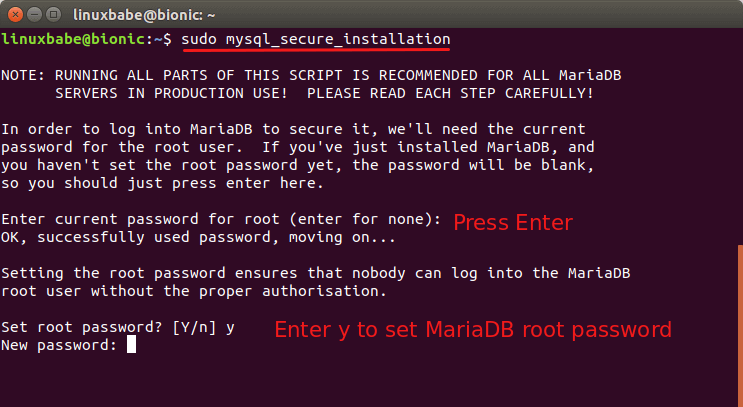 MariaDB is a drop-in replacement for MySQL. Enter the following command to install it on Ubuntu 18.04. At the the time of this writing, PHP7.2 is the latest stable version of PHP and has a minor performance edge over PHP7.1. Enter the following command to install PHP7.2. Enable the Apache php7.2 module then restart Apache Web server. 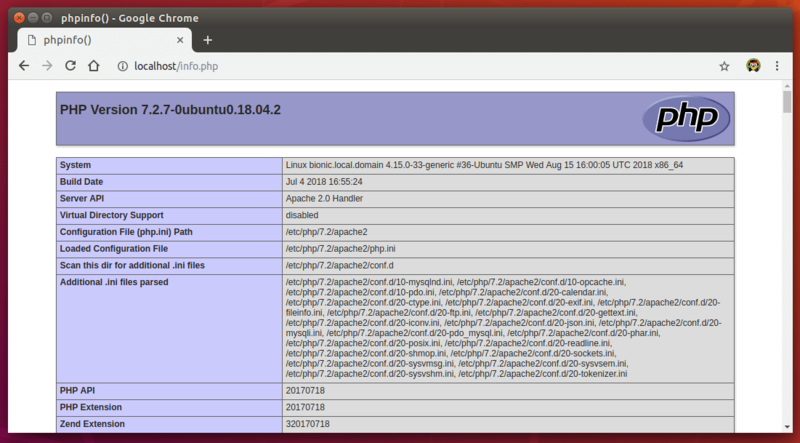 To test PHP scripts with Apache server, we need to create a info.php file in the document root directory. To save a file in Nano text editor, press Ctrl+O, then press Enter to confirm. To exit, press Ctrl+X. Now in the browser address bar, enter server-ip-address/info.php. 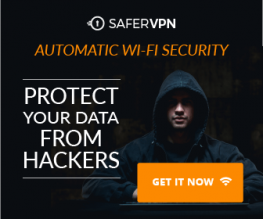 Replace sever-ip-address with your actual IP. If you follow this tutorial on your local computer, then type 127.0.0.1/info.php or localhost/info.php. You should see your server’s PHP information. This means PHP scripts can run properly with Apache web server. In the above steps, the PHP7.2 module is used to handle PHP code, which is usually fine. But in some cases, you need to run PHP code with PHP-FPM instead. Here’s how. Disable the Apache PHP7.2 module. Enable proxy_fcgi and setenvif module. Enable the /etc/apache2/conf-available/php7.2-fpm.conf configuration file. Now if you refresh the info.php page in your browser, you will find that Server API is changed to FPM/FastCGI, which means Apache web server will pass PHP requests to PHP-FPM. Congrats! You have successfully installed LAMP stack (Apache, MariaDB and PHP7.2) on Ubuntu 18.04. For your server’s security, you should delete info.php file now to prevent prying eyes.